Don Hasty Ignatz, age 84, of Hermitage went to be with his heavenly father Thursday, January 17, 2019. He was born June 9, 1934 in Nashville, TN to the late Ernest and Sara Ignatz. Don graduated Montgomery Bell Academy in 1952. He also graduated Western Kentucky University in 1956. He served his country in the US Army from 1956 until 1958. 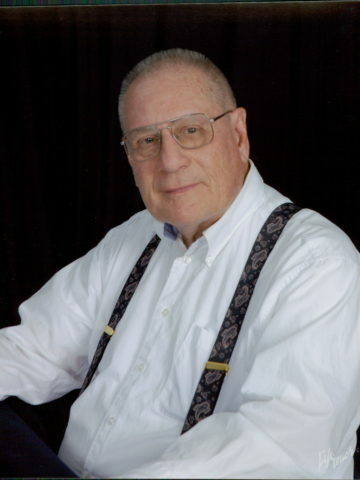 Don owned and operated Don H. Ignatz CPA and was a member of the Hermitage Rotary Club. In his spare time he loved to play golf. Don is survived by his wife, Barbara S. Ignatz; daughters, Deborah G. Ignatz, Susan L. Alpert, Sarah “Sallie” C. Ignatz, Julia E. Palmer (Kenneth); sons, Michael T. Ignatz, Donald S. Ignatz (Michelle); grandchildren, Richard L. Schroeder, Michael S. Ignatz, Perry J. Alpert, Samuel F. Palmer (Crystal), Aubrey R. Ignatz, Catherine N. Palmer, Austin M. Ignatz, Caleb D. Ignatz; great grandchildren, Corbin T.R. Schroeder and Hayden K. Palmer. The family will receive friends Friday from 5-8 pm and Saturday 12-1 p.m. at Harpeth Hills Funeral Home. A live celebration service will be held in the chapel Saturday at 1 p.m. Interment will follow at Harpeth Hills Memory Gardens. I have such wonderful memories of my cousin Don. He always had a sweet smile for everyone. Prayers for the Ignatz and Hasty families. We traveled to Houston for cousin Judy’s wedding about 1968? Don took a bunch of us kids to Astroworld amusement park for a day of fun. Great memories of that time. Good memories of Don from our MBA days , class of 1952.